Discussion in 'eBay Deals' started by Mark Webb, Oct 2, 2018. Hi, just in case someone here might be interested. Number 32 of 50 made is currently for sale on eBay. If it’s aged wouldn’t it be Angus Old? Logan and Ray like this. I could only find the VOS model on eBay. No aged signed. Anyone know what it went for? 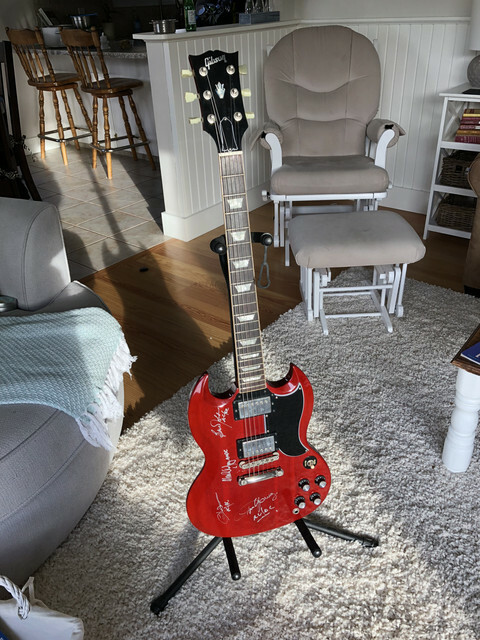 I have also have a 2009 Angus Young Custom shop, and always like to monitor the current sale prices. Not sure I would ever part with mine, but good to keep a finger on the pulse. Currently one on reverb for $35,000 plus shipping. Did you catch what the final sale price was on this one? Did you catch what the final sale price was on this one? Thank you. I do love my ACDC! ruster1 and Ray like this. SteelEdge here, from Spain. 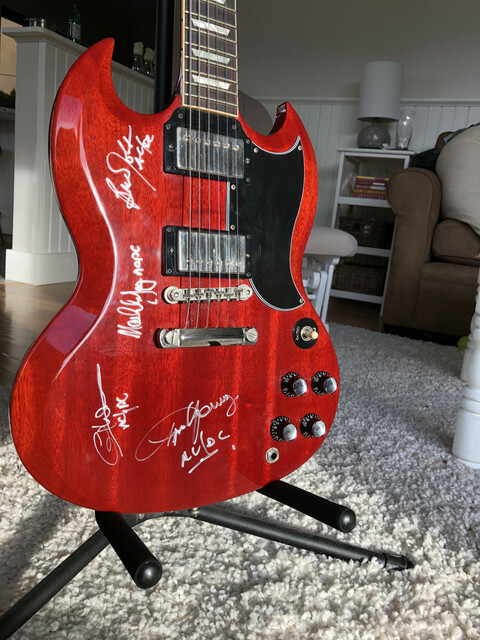 I´m the proud owner of the #32 Aged and Signed you were talking about. I´ve owned #22 and #38, and always regretted selling. Since prices on these ones have skyrocketed last years, I thought I was never going to be able to buy one again.Fortunately, this one was a steal. pancake81 and Ray like this. Nice. Welcome to the forum! Why did you let go of #22 and #38? 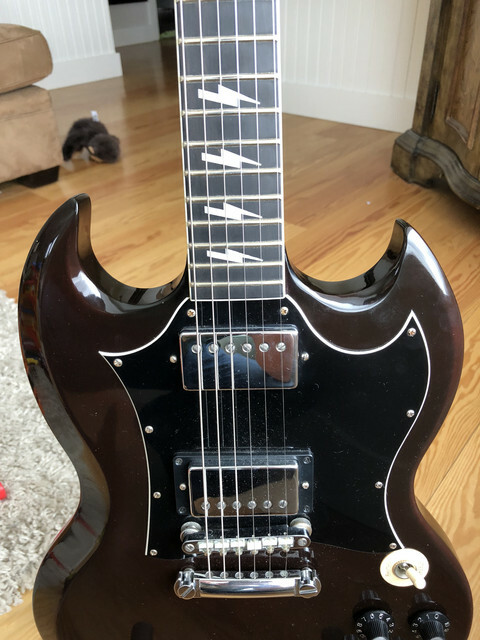 Nah, now talking seriously: I'm a guitar collector, I own like 80 guitars, and can't keep them all (check my Facebook page Steeledge Guitars and my web steeledge.es).#22 was sold back in the day when this guitars weren't so rare and prices weren't so high, needed cash and thought "I'll buy another one in a near future". Big mistake . 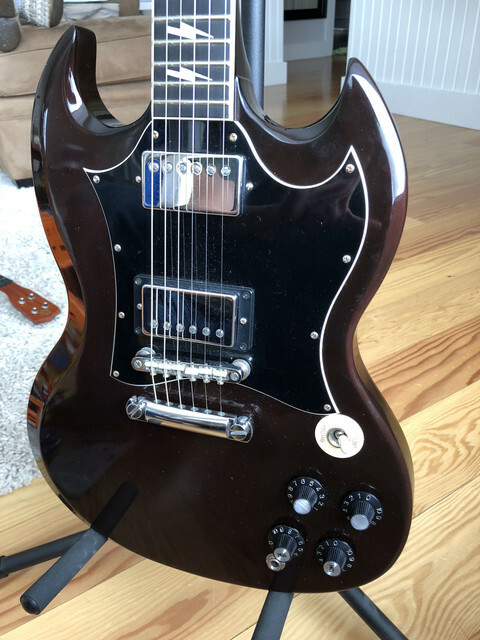 Then, years after, I had to pay BIG MONEY for #38, thought I overpaid comparing to what I sold #22 for (later I realized I didn't ) and was sold to a dear friend who is building a guitar museum. 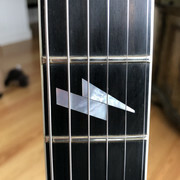 Now, I've paid big money again.....but it was "cheap" compared for what I've seen these guitars go the last two years, so I took my chance and was fast grabbin' it. pancake81 and Worblehat like this. Wow. What an amazing collection and cool presentation of it on your website! And you got a Bones guitar signed and used by George Lynch?! Awesome! Would really like to hear the story behind it! Yeah, awesome axe! 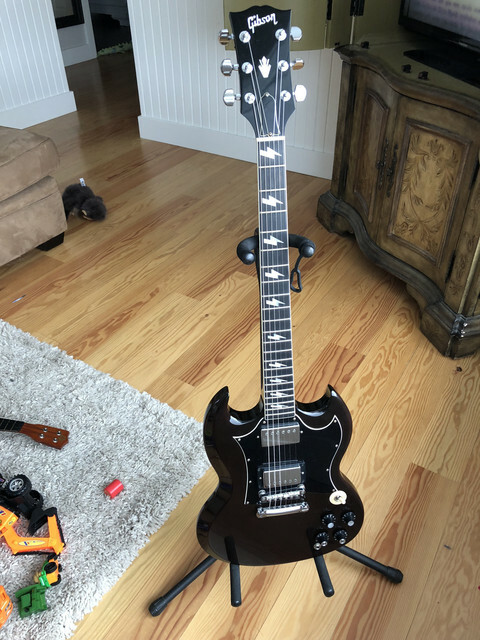 That is the OG Bones #01, first ever made of a limited run of 15 guitars, though only 6 have been finally made (George made an agreement with ESP so he could release this run, made by him and Craig Rundels). George built it along with Craig, is the first one and George was kind enough to put his Screamin' Demon original prototype pickup in this guitar as a gift, because I helped to launch the run. Wow! You lucky guy. I hope you never let go of this guitar. Thanks for sharing this!